The new Bon Appetit has arrived. Turn down pages! The first recipe I tried was Pappardelle with Arugula and Prosciutto. This was very, very good. It was light and a bit peppery and lemony. 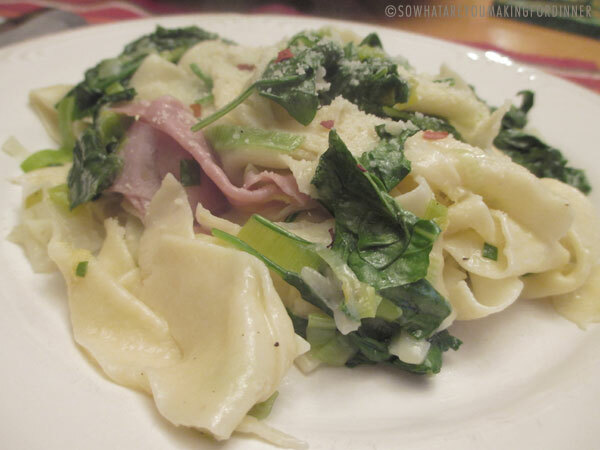 I made the Pappardelle using my favorite pasta recipe from Tide and Thyme. The meal came together quickly. I had everything prepped ahead of time. Tearing the Prosciutto may take longer than you think so it is best to have all your mis en place ready. Cook pasta in a large pot of boiling salted water, stirring occasionally, until al dente. Drain, reserving 2 cups pasta cooking liquid. Meanwhile, heat oil and butter in a large heavy pot over medium heat. Add leeks and cook, stirring often, until softened but not browned, 5-8 minutes. Add pasta, chives, 2 teaspoons lemon zest, and 3/4 cup pasta cooking liquid. Cook, tossing and adding more cooking liquid by 1/4-cupfuls as needed, until a glossy sauce forms that coats pasta, about 4 minutes. Add arugula and 1/3 cup Parmesan, season with salt and pepper, and toss to combine. Add prosciutto and toss again. Top pasta with more lemon zest and Parmesan. And to snack on with a cocktail while preparing dinner I made Spicy Roasted Chickpeas. I used the recipe from the Martha Stewart site. Cheers! And Happy 44th Anniversary to my sister and her husband! 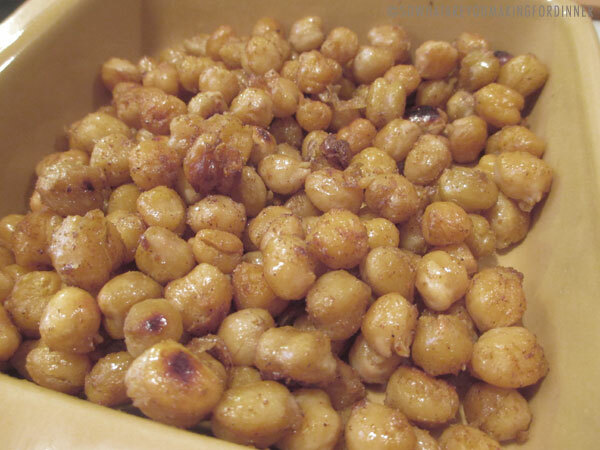 I've been seeing roasted chickpeas a couple of places and have got to give them a try - not to mention the pasta with arugula and prosciutto - things I already have in the hosue. I agree Linda. I love when I find all the ingredients without having to run to the store!